If you are a leader and you want to bring out the best in others and be both powerful and good, focus on the positive and minimize the negative, and grant your power generously. I was reminded of the challenges of leadership power in a recent coaching conversation. Michaela expressed frustration with her boss. She thought he had misunderstood her actions dealing with a tough situation. She felt angry and unsupported. She had been very pleased with how she’d handled a challenging relationship issue with a staff member. She’s inherited a poorly performing team. 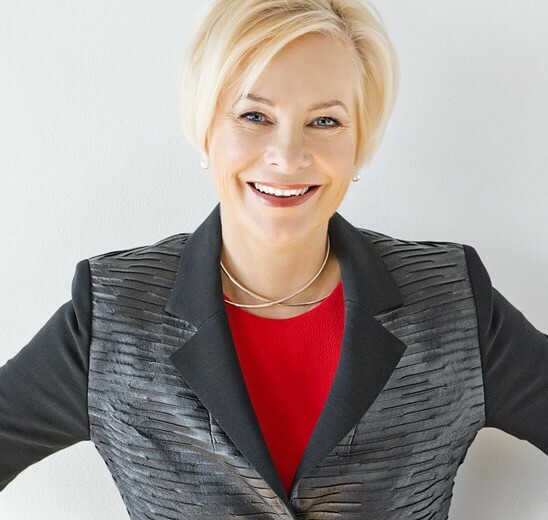 She’s working to retrieve the business and turn the culture around. Her view was that she’d taken very different action with this staff member compared with what she would have done in the past. It had worked out unexpectedly well. Feedback had been accepted. Behaviour had improved. The difficult team member was now showing significant positive change. A weight had been lifted from her shoulders. Job well done….. Or was it? 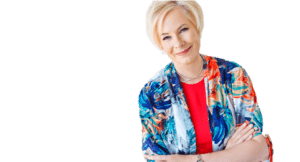 In the past, her boss had called her out for how she handled challenging relationship issues. In an ocean of exceptional feedback about her performance, this was the one bit of flotsam that marred her reputation. Michaela was dismayed as she reported her boss’s response. The feedback was that this challenge had been handled the same as past challenges. Not well. Frustratingly for her, it seemed that her present actions were not seen as different. From floating on her tide of success and relief, the comments from her boss had plunged her into the murky depths of self-doubt. She was puzzled. She felt exposed and unsupported. The progress she’d been making on this key issue had been swept away. Michaela’s emotional reaction was strong. Why? In the coaching context, we followed several streams. How workable was her response? We talked about getting hooked. What had the boss actually said? How could the boss not see the change? Did the boss not see the change? Was Michaela herself using the old meme about her conflict response to filter the feedback from her boss in an unhelpful way? Why was so much weight given to the boss’s perception? It is surprisingly easy for leaders to under-estimate how powerful their small comments can be, and how their power is experienced by others. This is the stream that I’ll pursue here: how can leaders be more aware of the impact of their power, and use their power for good? One area in which leaders can take care is in the proportion of positive to negative experiences you create. Taking care with the relative balance of feedback is important because, disappointingly, bad is stronger than good. Almost always. Bad events and negative feedback have much more impact than good. Negative information is processed more thoroughly. So it gets into our heads more easily, and is retrieved more readily. When bosses focus on what’s wrong, what didn’t work, what hasn’t changed, it sticks. Active suppression of the bad news, and cultivation of positive stories. Avoid repeatedly going over the bad times and bad news, make sure you cultivate a favourable overall view. See the negative attributions as unimportant. If the individual believes that there is a pattern of goodness, they are more likely to disregard the bad. It may be difficult for individuals to downplay leaders’ attributions, because of the status differences. This was the case for Michaela. The boss’s construction of events has greater power because of status differentials. Some bosses wield their power with greater insight and care than others. Individuals respond to others’ power more or less effectively for themselves. There were a multitude of micro-exchanges of power between Michaela and her boss. She felt powerful providing her boss with an update on what she had experienced as challenging. Broader sensitivities than those that specifically concerned her had been taken into account. She was pleased to be able to take a different approach. She felt proud of handling the situation well. And with just one small comment from the boss, she experienced wipeout. She felt over-powered and diminished. The boss is likely unaware of the impact of his comments. At least partly because he is unaware of the currency of his own power. It’s a bit like he’s dealing in US dollars, while Michaela is working with the Aussie dollar. His power is of a different currency, and it has a different value. A little of his power is actually quite a lot. If you’re the boss and you want to do good with the power your status brings, the theory that Dachler Keltner proposes will help. He turns our traditional view of power as Machiavellian on its head. His research shows that, in everyday life, power isn’t gained and held by force and coercion. Instead, power has the greatest value when used generously. 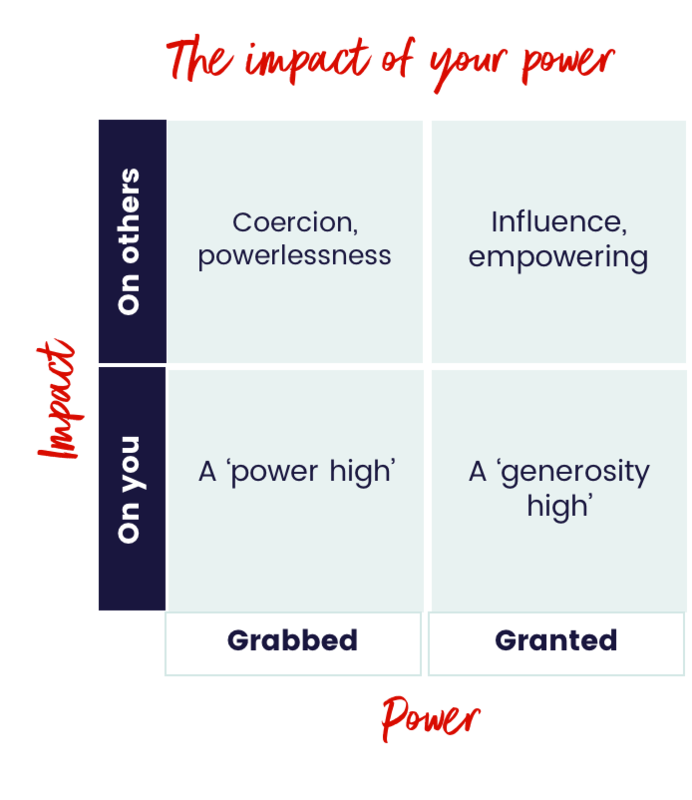 Influence is gained, and held, by granting power to others. Coercive force, or the heavy-handed use of power, doesn’t influence. Influence comes from empowering others through granting them power. Having power can be very seductive. We gain power, experience the ‘power high’, become seduced by it, abuse our power, and then lose it. This is what he calls the paradox of power. He redefines power as a process of granting it. 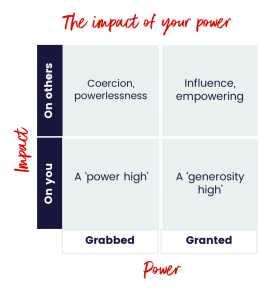 By generously granting power, we empower others and it is through this that we gain influence.